Freed Veronese II Pointe ShoesRegular Price $90.00 $59.00 On Sale! 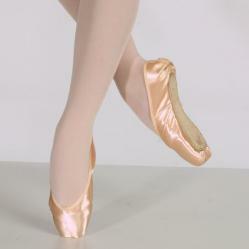 DiscountPointeShoes.com is a leading worldwide provider of brand name pointe shoes and pointe shoe accessories. We carry pointe shoes from Bloch, Capezio, Chacott, Freed, Grishko, Mirella, Russian Pointe, So Danca, Suffolk, and more. With a huge inventory, great prices, fast shipping, and a commitment to "grande" customer service, let DiscountPointeShoes.com become your trusted pointe shoe source!